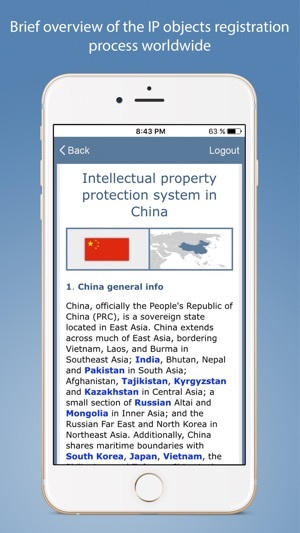 How to succeed in protecting Intellectual Property? This process is complicated even for an experienced person. 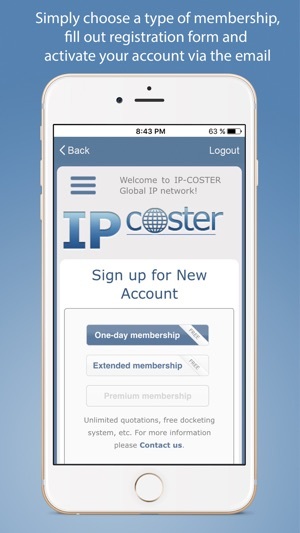 IP-Coster aims to facilitate process of the IPR protection worldwide, making it easier and faster. 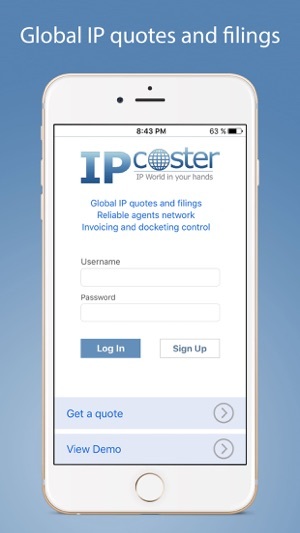 IP-Coster mobile app provides mobile access to accurate and detailed quotes, direct filings and management of prosecution of patents, utility models, trademarks and industrial designs throughout the world. 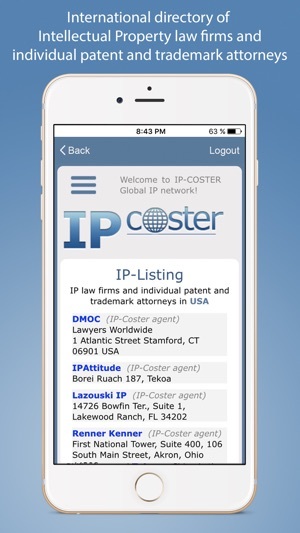 IP-Coster platform covers over 140 countries and unites more than 260 agents around the world who provide constant support on aspects of the national IP laws. 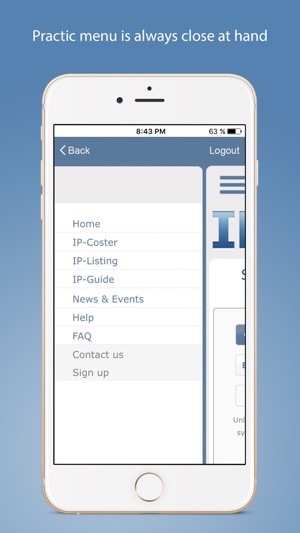 You are welcome to join our online platform by filling out registration form or via your Facebook or LinkedIn account. 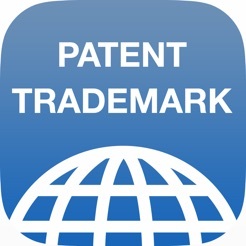 • brief overview of registration procedure in applicant’s guide. 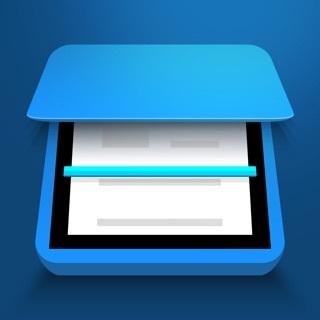 Great app on the go. No need to send long emails to overseas agencies because it's all at my fingertips now.